Keyless Start, Onboard Communications System, Smart Device Integration, Dual Zone A/C, Alloy Wheels, ENGINE: 3.6L V6 24V VVT UPG I W/ESS, All Wheel Drive, iPod/MP3 Input. EPA 25 MPG Hwy/18 MPG City! Billet Clear Coat exterior CLICK NOW! KEY FEATURES INCLUDE All Wheel Drive, Rear Air, Back-Up Camera, iPod/MP3 Input, Onboard Communications System, Aluminum Wheels, Keyless Start, Dual Zone A/C, Smart Device Integration. Rear Spoiler, MP3 Player, Privacy Glass, Keyless Entry, Steering Wheel Controls. OPTION PACKAGES ENGINE: 3.6L V6 24V VVT UPG I W/ESS (STD), TRANSMISSION: 8-SPEED AUTOMATIC (850RE) (STD). 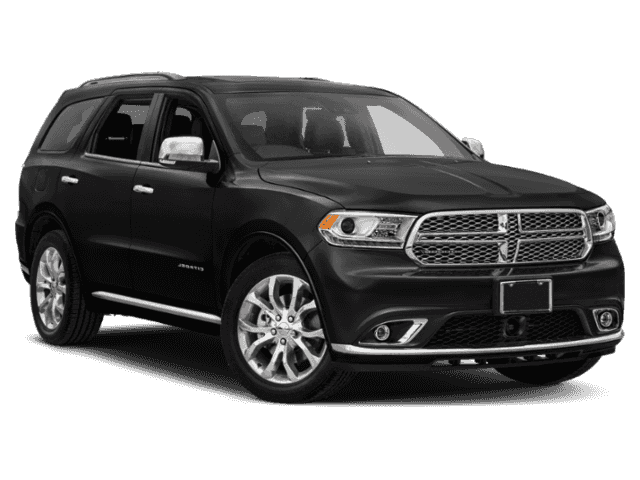 EXPERTS RAVE It's a pleasant place inside the 2019 Durango, with an air about it that seems higher in quality than most rivals. -KBB.com. Great Gas Mileage: 25 MPG Hwy. WHO WE ARE At Shelor Motor Mile we have a price and payment to fit any budget. Our big selection means even bigger savings! Need extra spending money? Shelor wants your vehicle, and we're paying top dollar! Tax DMV Fees & $597 processing fee are not included in vehicle prices shown and must be paid by the purchaser. Vehicle information is based off standard equipment and may vary from vehicle to vehicle. Call or email for complete vehicle specific informatio Chevrolet Ford Chrysler Dodge Jeep & Ram prices include current factory rebates and incentives some of which may require financing through the manufacturer and/or the customer must own/trade a certain make of vehicle. Residency restrictions apply see dealer for details and restrictions. All pricing and details are believed to be accurate but we do not warrant or guarantee such accuracy. The prices shown above may vary from region to region as will incentives and are subject to change. SXT trim, DB Black Clear Coat exterior. EPA 25 MPG Hwy/18 MPG City! Keyless Start, Dual Zone A/C, Smart Device Integration, Onboard Communications System, Alloy Wheels, TRANSMISSION: 8-SPEED AUTOMATIC (850R... All Wheel Drive CLICK ME! KEY FEATURES INCLUDE All Wheel Drive, Rear Air, Back-Up Camera, iPod/MP3 Input, Onboard Communications System, Aluminum Wheels, Keyless Start, Dual Zone A/C, Smart Device Integration Rear Spoiler, MP3 Player, Privacy Glass, Keyless Entry, Steering Wheel Controls. OPTION PACKAGES ENGINE: 3.6L V6 24V VVT UPG I W/ESS (STD), TRANSMISSION: 8-SPEED AUTOMATIC (850RE) (STD). 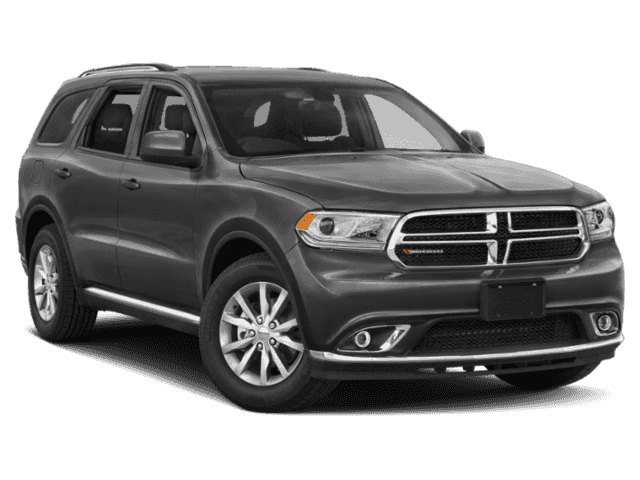 EXPERTS REPORT It's a pleasant place inside the 2019 Durango, with an air about it that seems higher in quality than most rivals. -KBB.com. Great Gas Mileage: 25 MPG Hwy. MORE ABOUT US At Shelor Motor Mile we have a price and payment to fit any budget. Our big selection means even bigger savings! Need extra spending money? Shelor wants your vehicle, and we're paying top dollar! Tax DMV Fees & $597 processing fee are not included in vehicle prices shown and must be paid by the purchaser. Vehicle information is based off standard equipment and may vary from vehicle to vehicle. Call or email for complete vehicle specific informatio Chevrolet Ford Chrysler Dodge Jeep & Ram prices include current factory rebates and incentives some of which may require financing through the manufacturer and/or the customer must own/trade a certain make of vehicle. Residency restrictions apply see dealer for details and restrictions. All pricing and details are believed to be accurate but we do not warrant or guarantee such accuracy. The prices shown above may vary from region to region as will incentives and are subject to change. FUEL EFFICIENT 25 MPG Hwy/18 MPG City! In exterior, SXT trim. 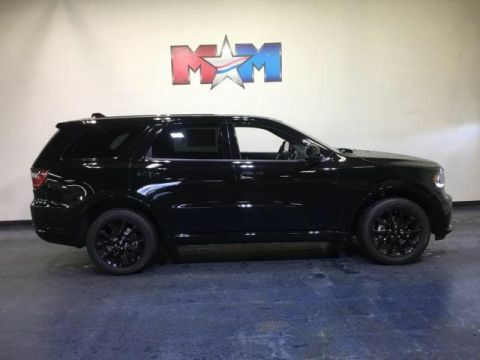 Keyless Start, Dual Zone A/C, Smart Device Integration, Onboard Communications System, Alloy Wheels, TRANSMISSION: 8-SPEED AUTOMATIC (850R... All Wheel Drive SEE MORE! KEY FEATURES INCLUDE All Wheel Drive, Rear Air, Back-Up Camera, iPod/MP3 Input, Onboard Communications System, Aluminum Wheels, Keyless Start, Dual Zone A/C, Smart Device Integration. Rear Spoiler, MP3 Player, Privacy Glass, Keyless Entry, Steering Wheel Controls. OPTION PACKAGES ENGINE: 3.6L V6 24V VVT UPG I W/ESS (STD), TRANSMISSION: 8-SPEED AUTOMATIC (850RE) (STD). EXPERTS CONCLUDE KBB.com explains It's a pleasant place inside the 2019 Durango, with an air about it that seems higher in quality than most rivals. . Great Gas Mileage: 25 MPG Hwy. WHY BUY FROM US At Shelor Motor Mile we have a price and payment to fit any budget. Our big selection means even bigger savings! Need extra spending money? Shelor wants your vehicle, and we're paying top dollar! Tax DMV Fees & $597 processing fee are not included in vehicle prices shown and must be paid by the purchaser. Vehicle information is based off standard equipment and may vary from vehicle to vehicle. Call or email for complete vehicle specific informatio Chevrolet Ford Chrysler Dodge Jeep & Ram prices include current factory rebates and incentives some of which may require financing through the manufacturer and/or the customer must own/trade a certain make of vehicle. Residency restrictions apply see dealer for details and restrictions. All pricing and details are believed to be accurate but we do not warrant or guarantee such accuracy. The prices shown above may vary from region to region as will incentives and are subject to change. Third Row Seat, Onboard Communications System, iPod/MP3 Input, Keyless Start, Smart Device Integration, Dual Zone A/C, QUICK ORDER PACKAGE 2BB SXT PLUS. Destroyer Grey Clear Coat exterior, SXT Plus trim. EPA 25 MPG Hwy/18 MPG City! CLICK ME! KEY FEATURES INCLUDE All Wheel Drive, Rear Air, Back-Up Camera, iPod/MP3 Input, Onboard Communications System, Aluminum Wheels, Keyless Start, Dual Zone A/C, Smart Device Integration Rear Spoiler, MP3 Player, Privacy Glass, Keyless Entry, Child Safety Locks. OPTION PACKAGES QUICK ORDER PACKAGE 2BB SXT PLUS Engine: 3.6L V6 24V VVT UPG I w/ESS, Transmission: 8-Speed Automatic (850RE), Comfort Seating Group, ParkSense Rear Park Assist w/Stop, Power 4-Way Driver Lumbar Adjust, Integrated Roof Rail Crossbars, Bright Side Roof Rails, Power 8-Way Driver/Manual Passenger Seat, For More Info, Call 800-643-2112, No Satellite Coverage HI/AK/PR/VI/GU, 1-Year SiriusXM Radio Service, 3RD ROW SEATING GROUP 3rd Row Seat, 3rd Row Remote Headrest Dumping, 7 Passenger Seating, 2nd Row 60/40 Fold & Tumble Seat, BLIND SPOT & CROSS PATH DETECTION, TRANSMISSION: 8-SPEED AUTOMATIC (850RE) (STD), ENGINE: 3.6L V6 24V VVT UPG I W/ESS (STD). EXPERTS REPORT KBB.com explains It's a pleasant place inside the 2019 Durango, with an air about it that seems higher in quality than most rivals. . Great Gas Mileage: 25 MPG Hwy. VISIT US TODAY At Shelor Motor Mile we have a price and payment to fit any budget. Our big selection means even bigger savings! Need extra spending money? Shelor wants your vehicle, and we're paying top dollar! Tax DMV Fees & $597 processing fee are not included in vehicle prices shown and must be paid by the purchaser. Vehicle information is based off standard equipment and may vary from vehicle to vehicle. Call or email for complete vehicle specific informatio Chevrolet Ford Chrysler Dodge Jeep & Ram prices include current factory rebates and incentives some of which may require financing through the manufacturer and/or the customer must own/trade a certain make of vehicle. Residency restrictions apply see dealer for details and restrictions. All pricing and details are believed to be accurate but we do not warrant or guarantee such accuracy. The prices shown above may vary from region to region as will incentives and are subject to change. 3rd Row Seat, Onboard Communications System, iPod/MP3 Input, Keyless Start, Dual Zone A/C, Smart Device Integration, Back-Up Camera, 3RD ROW SEATING GROUP. DB Black Clear Coat exterior, SXT Plus trim. EPA 25 MPG Hwy/18 MPG City! READ MORE! KEY FEATURES INCLUDE All Wheel Drive, Rear Air, Back-Up Camera, iPod/MP3 Input, Onboard Communications System, Keyless Start, Dual Zone A/C, Smart Device Integration. Rear Spoiler, MP3 Player, Privacy Glass, Keyless Entry, Steering Wheel Controls. OPTION PACKAGES QUICK ORDER PACKAGE 2BB SXT PLUS Engine: 3.6L V6 24V VVT UPG I w/ESS, Transmission: 8-Speed Automatic (850RE), Comfort Seating Group, ParkSense Rear Park Assist w/Stop, Power 4-Way Driver Lumbar Adjust, Integrated Roof Rail Crossbars, Bright Side Roof Rails, Power 8-Way Driver/Manual Passenger Seat, For More Info, Call 800-643-2112, No Satellite Coverage HI/AK/PR/VI/GU, 1-Year SiriusXM Radio Service, BLACKTOP PACKAGE Body Color Wheel Lip Moldings, Wheels: 20 x 8.0 High Gloss Black Aluminum, Tires: 265/50R20 BSW AS LRR, LED Daytime Running Headlamps, Body Color Shark Fin Antenna, Dual Rear Exhaust w/Bright Tips, Gloss Black Badges, Body Color Sill Molding, Black Headlamp Bezels, Delete Roof Rack, Body Color Front Fascia, Body Color Rear Fascia, Gloss Black Exterior Mirrors, 2ND ROW FOLD/TUMBLE CAPTAIN CHAIRS 6 Passenger Seating, 2nd Row Mini Console w/Cupholders, 2nd Row Seat Mounted Inboard Armrests, 3rd Row Floor Mat & Mini Console, 3RD ROW SEATING GROUP 3rd Row Seat, 3rd Row Remote Headrest Dumping, 7 Passenger Seating, 2nd Row 60/40 Fold & Tumble Seat, ENGINE: 3.6L V6 24V VVT UPG I W/ESS (STD), TRANSMISSION: 8-SPEED AUTOMATIC (850RE) (STD). EXPERTS ARE SAYING Great Gas Mileage: 25 MPG Hwy. Tax DMV Fees & $597 processing fee are not included in vehicle prices shown and must be paid by the purchaser. Vehicle information is based off standard equipment and may vary from vehicle to vehicle. Call or email for complete vehicle specific informatio Chevrolet Ford Chrysler Dodge Jeep & Ram prices include current factory rebates and incentives some of which may require financing through the manufacturer and/or the customer must own/trade a certain make of vehicle. Residency restrictions apply see dealer for details and restrictions. All pricing and details are believed to be accurate but we do not warrant or guarantee such accuracy. The prices shown above may vary from region to region as will incentives and are subject to change. Third Row Seat, Onboard Communications System, iPod/MP3 Input, Keyless Start, Dual Zone A/C, Smart Device Integration, Back-Up Camera, BLACKTOP PACKAGE. FUEL EFFICIENT 25 MPG Hwy/18 MPG City! Vice White exterior, SXT Plus trim SEE MORE! KEY FEATURES INCLUDE All Wheel Drive, Rear Air, Back-Up Camera, iPod/MP3 Input, Onboard Communications System, Keyless Start, Dual Zone A/C, Smart Device Integration. Rear Spoiler, MP3 Player, Privacy Glass, Keyless Entry, Steering Wheel Controls. 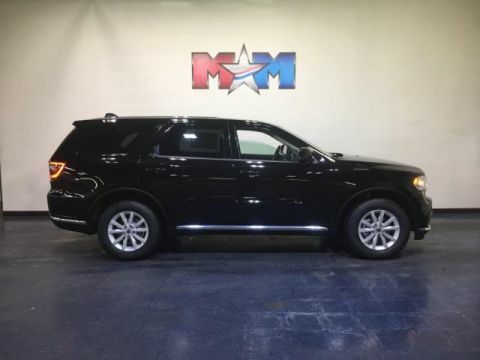 OPTION PACKAGES QUICK ORDER PACKAGE 2BB SXT PLUS Engine: 3.6L V6 24V VVT UPG I w/ESS, Transmission: 8-Speed Automatic (850RE), Comfort Seating Group, ParkSense Rear Park Assist w/Stop, Power 4-Way Driver Lumbar Adjust, Integrated Roof Rail Crossbars, Bright Side Roof Rails, Power 8-Way Driver/Manual Passenger Seat, For More Info, Call 800-643-2112, No Satellite Coverage HI/AK/PR/VI/GU, 1-Year SiriusXM Radio Service, BLACKTOP PACKAGE Body Color Wheel Lip Moldings, Wheels: 20 x 8.0 High Gloss Black Aluminum, Tires: 265/50R20 BSW AS LRR, LED Daytime Running Headlamps, Body Color Shark Fin Antenna, Dual Rear Exhaust w/Bright Tips, Gloss Black Badges, Body Color Sill Molding, Black Headlamp Bezels, Delete Roof Rack, Body Color Front Fascia, Body Color Rear Fascia, Gloss Black Exterior Mirrors, 2ND ROW FOLD/TUMBLE CAPTAIN CHAIRS 6 Passenger Seating, 2nd Row Mini Console w/Cupholders, 2nd Row Seat Mounted Inboard Armrests, 3rd Row Floor Mat & Mini Console, 3RD ROW SEATING GROUP 3rd Row Seat, 3rd Row Remote Headrest Dumping, 7 Passenger Seating, 2nd Row 60/40 Fold & Tumble Seat, ENGINE: 3.6L V6 24V VVT UPG I W/ESS (STD), TRANSMISSION: 8-SPEED AUTOMATIC (850RE) (STD). EXPERTS ARE SAYING Great Gas Mileage: 25 MPG Hwy. Tax DMV Fees & $597 processing fee are not included in vehicle prices shown and must be paid by the purchaser. Vehicle information is based off standard equipment and may vary from vehicle to vehicle. Call or email for complete vehicle specific informatio Chevrolet Ford Chrysler Dodge Jeep & Ram prices include current factory rebates and incentives some of which may require financing through the manufacturer and/or the customer must own/trade a certain make of vehicle. Residency restrictions apply see dealer for details and restrictions. All pricing and details are believed to be accurate but we do not warrant or guarantee such accuracy. The prices shown above may vary from region to region as will incentives and are subject to change. 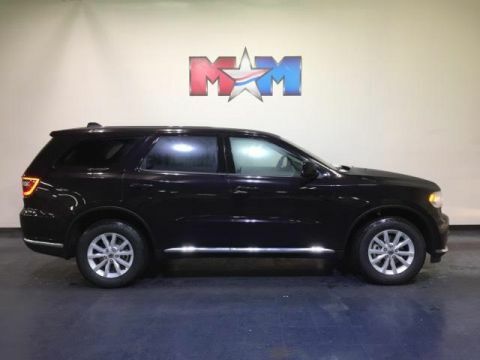 3rd Row Seat, Sunroof, NAV, Heated Leather Seats, DVD, All Wheel Drive, Quad Seats, TECHNOLOGY GROUP, REAR DVD ENTERTAINMENT CENTER, ENGINE: 5.7L V8 HEMI MDS VVT, Alloy Wheels. DB Black Clear Coat exterior, Citadel trim READ MORE! 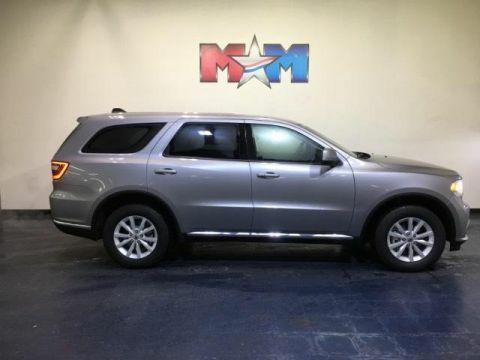 KEY FEATURES INCLUDE Leather Seats, Third Row Seat, Navigation, Sunroof, All Wheel Drive, Quad Bucket Seats, Power Liftgate, Rear Air, Heated Driver Seat, Heated Rear Seat, Back-Up Camera, iPod/MP3 Input, Onboard Communications System, Chrome Wheels, Remote Engine Start. Rear Spoiler, MP3 Player, Satellite Radio, Privacy Glass, Remote Trunk Release. 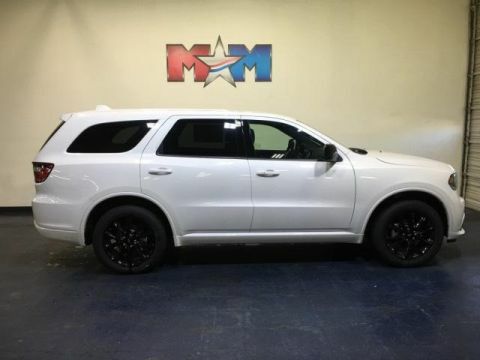 OPTION PACKAGES ENGINE: 5.7L V8 HEMI MDS VVT 110 mph Maximum Speed Calibration, GVWR: 7,100 lbs, 2 Speed On Demand Transfer Case, 230MM Rear Axle, 3.09 Rear Axle Ratio, 700 Amp Maintenance Free Battery, Heavy Duty Engine Cooling, TECHNOLOGY GROUP Lane Departure Warning Plus, Advanced Brake Assist, Full Speed Forward Collision Warning Plus, Adaptive Cruise Control w/Stop, REAR DVD ENTERTAINMENT CENTER Blu-Ray Compatible Dual Screen Video, Rear Seat Video System, TRAILER TOW & SKID PLATE GROUP Rear Load Leveling Suspension, Trailer Brake Control, 7 & 4 Pin Wiring Harness, Fuel Tank Skid Plate Shield, Transfer Case Skid Plate Shield, Underbody Skid Plate, Class IV Receiver Hitch, Steel Spare Wheel, Heavy Duty Engine Cooling, Full Size Spare Tire, 19 harman/kardon AMPLIFIED SPEAKERS W/SUBWOOFER 825 Watt Amplifier, BLIND SPOT & CROSS PATH DETECTION, TRANSMISSION: 8-SPEED AUTOMATIC (8HP70). WHY BUY FROM US At Shelor Motor Mile we have a price and payment to fit any budget. Our big selection means even bigger savings! Need extra spending money? Shelor wants your vehicle, and we're paying top dollar! Tax DMV Fees & $597 processing fee are not included in vehicle prices shown and must be paid by the purchaser. Vehicle information is based off standard equipment and may vary from vehicle to vehicle. Call or email for complete vehicle specific informatio Chevrolet Ford Chrysler Dodge Jeep & Ram prices include current factory rebates and incentives some of which may require financing through the manufacturer and/or the customer must own/trade a certain make of vehicle. Residency restrictions apply see dealer for details and restrictions. All pricing and details are believed to be accurate but we do not warrant or guarantee such accuracy. The prices shown above may vary from region to region as will incentives and are subject to change.